Do not miss the opportunity to check this exquisite offer! This house is obviously different from the other houses that we saw during the last period. 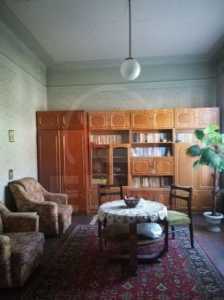 Edil Real Estate offers a house for sale, in Cluj-Napoca, with 4 rooms,land with the surface of 210SqM, . The surface of this house is 147 SqM. The house for sale is made up of 4 rooms, 2 bathrooms and kitchen. This is situated in Cluj-Napoca Buna Ziua neighborhood. The house is made of brick, has its foundation made of undefined, metal tiles roof and was built in 2015. The house is it dispose of central heating PVC windows. The house disposes of a parking place and storage space. The house is in a quiet area, close to the means of transport and in a zone with green space. For more details or to make an appointment for watching this offer do not hesitate to contact us now at the headquarter of our agency. the first Romanian name of the city was Clus? We can speak about Cluj-Napoca only in the late 1974, "Napoca" being the name of the city during the Roman conquest. Duplex situat in ansambul de constructii noi in imediata apropiere a Reprezentantei Audi, cu expunere sudica, ideal ca si locuinta de famile, dispusa pe 3 nivele si foarte bine compartimentata si structurata. Imobilul se preda la stadiul de semifinisat interior si la cheie exterior, teren si acces pavat.